The City of Monclair is currently recruiting for Entry Level Police Officer. The posting will remain open and positions filled as needed. Testing for this position is through National Testing Network (NTN). The City will invite candidates selected to move forward in the process to fill out the City application. Please do not contact the City regarding the application process. The department requires the candidate PHQ. You can access the questionnaire through your NTN candidate account. NTN suggests completing the PHQ as soon as possible so there is not a delay in your process. 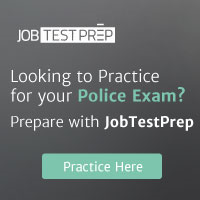 To schedule testing, go to http://www.nationaltestingnetwork.com and click on LAW ENFORCEMENT JOBS. Select the department and read over all the requirements and if qualified, select a testing location and a time and date for testing on the website calendar. For questions concerning the testing process, please contact NTN Customer Support at 866-563-3882.